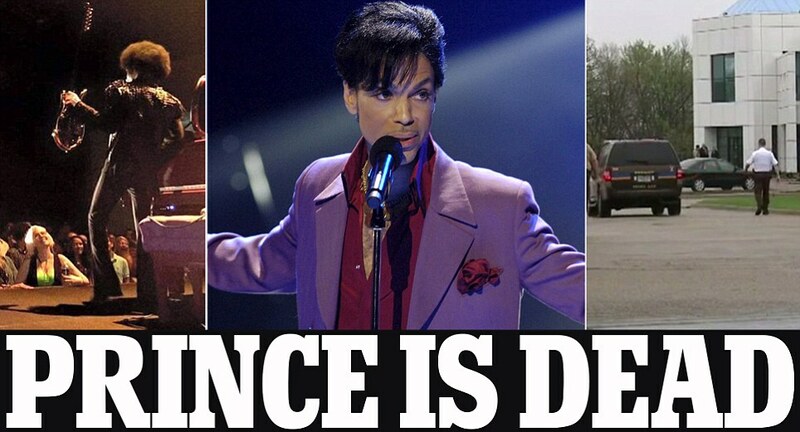 Prince has died aged 57 at his estate in Minnesota. Paramedics were called to his Paisley Park studio at 9.43 this morning. Forensics teams and a medical examiner are at the scene now (pictured right). Prince was hospitalized six days ago with flu symptoms after his private jet made an emergency landing in Illinois on Friday morning. He had had been suffering from flu for a number of weeks and was believed to be recovering, but took a turn for the worse in the early hours of Friday. He was treated for three hours before being released, then went onto make an appearance at a dance party in Minnesota on Saturday where he didn't perform, but did take to the stage to tell fans who were worried about his health to 'wait a few days before you waste any prayers'. The moment, believed to be the last picture taken of The Purple One, is pictured top right. The Purple Rain hitmaker's last concert was at The Fox Theatre in Atlanta on last Thursday night - the second of two back to back sold out shows - and had seemed 'fine' during the concert, according to audience members.